10 FAB Haircuts That Look Great On *Every* Face Shape! Having your hair on fleek is prime to looking fab on any given day. You agree with that, don’t you? Well, instead of scrutinizing your hairstyle and cut in the mirror right now, give this piece a read. For all you gorgeous ladies, here are 10 amazing haircuts that suit everyone, no matter what your face shape. Go for any of these, and you’re all set to impress! Image: Sonam Kapoor on Instagram So chic and effortless - Sonam pulls off this look and how?! Silky, long and straight with none or few layers and less fuss - this hairstyle is simple and is bound to accentuate your features beautifully. Any and everyone can carry off this hairdo with much elan, we say. Image: Butterfly Loft Salon on Instagram This uber stylish haircut is sure to get you all the attention and compliments. Longer at the front with more layers at the back, whether you have a round face or an oval one, a square or a diamond shaped one - this is one haircut that will add manifold to your overall look. Book your hair appointment already! 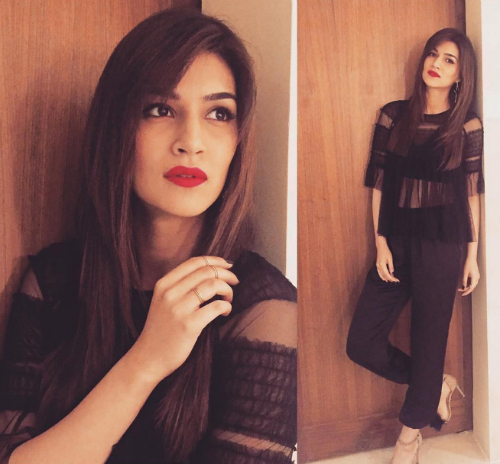 Image: Kriti Sanon on Instagram Side-swept bangs add such a delicate and feminine touch, you will be surprised at how awesome this haircut will make you look. It’s stylish and adds just the right amount of oomph, while giving you a soft look! 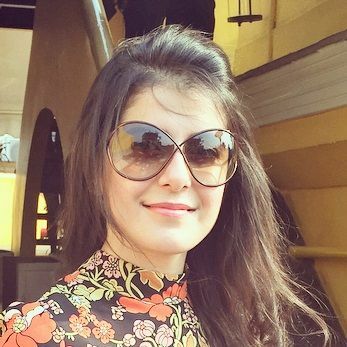 Image: Shaleena Nathani on Instagram This one’s really a no-brainer. 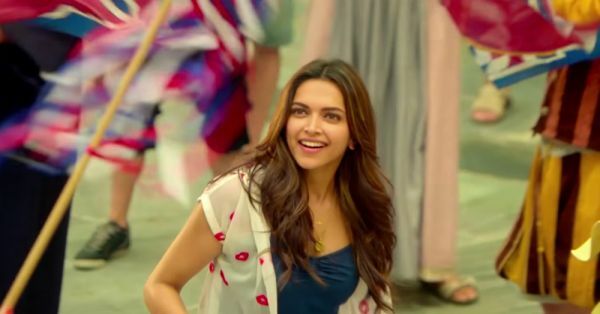 Look at how gorgeous Deepika Padukone looks here - and you’ll look no less fabulous in this hairstyle. Fabulously long with amazing bouncy layers at the bottom - this hairstyle is every bit glam! Image: Emma Watson on Instagram Aww! This super cute haircut that Emma Watson got not very long ago is oh-so-adorable. If any of you want to emulate this girl next door kinda vibe, book your hair stylist and get this haircut done right away. It’ll feel like such a refreshing change we promise. We’re sure you’ll look like a perfect blend of cute and chic! Image: Sonakshi Sinha on Instagram No matter what your face shape, if you’re bored of long hair but don’t want to chop off your tresses all the way, go for the popular long bob or ‘lob’. It’s been quite the rage for awhile now, simply because it flatters all and really does look pretty fabulous. You’re going to look gorgeous in this haircut! Image: Mark Townsend on Instagram This is such an evergreen look, isn’t it? A cutesy full fringe will look super stylish on any and everyone. Whether you want to keep the rest of your hair in long layers or short ones, it’s completely your call. It can also bring a youthful vibe to your look. Come on, fringe it up ladies! 8. Layers all the way! Image: Alia Bhatt on Instagram Look at that volume and healthy bounce in Alia’s hair! Don’t you love it?! We absolutely do. Lots of layers of varying lengths bring so much character to the mane, as well as accentuate natural waves and add so much movement and life to your locks. You’ll be so happy with this stylish haircut, no matter what your face shape is. Go for it! Image: Charlize Theron on Instagram Minimalistic and classy - these are the two words that come to mind when we see Charlize Theron in this pixie cut with a twist. 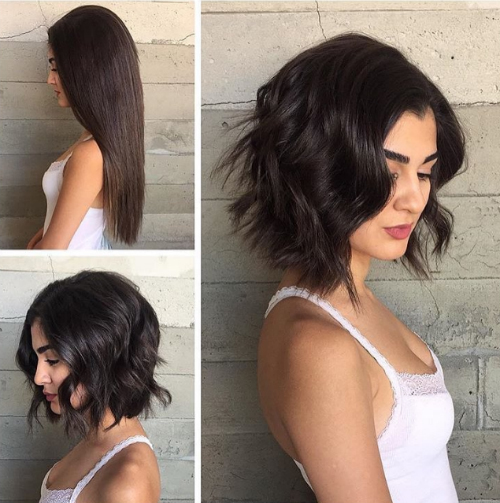 If you’re a girl who likes to keep it short, this cut is a must-try. The quiff set beautifully towards one side is every bit glam - a look that many of you can pull off and look extremely elegant. Image: Anushka Sharma on Instagram Straight from the top, with neat and clean steps at the bottom - this medium length hair is both, easy to manage and stylish at the same time. And trust us ladies, ANYONE can carry off this gorgeous hairdo!